What is good about wood? It provides excellent insulation, is a renewable resource, and benefits the environment as it grows. And, nothing beats the welcoming warmth and curb appeal of a wood door. The Simpson® Door Company, located in the forests of Washington State, has been specializing in hand-built wood stile and rail doors for over 100 years. Simpson's extensive product line includes French, Panel and Decorative exterior doors in all standard sizes. They can also be cut to a custom size. Simpson is one of the few makers that offer multiple wood choices. 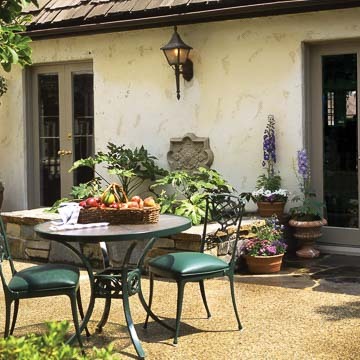 You can further personalize your door with sidelites and transoms. The interior door catalog has French, panel, bi-fold and louvered doors to add functionality with style to your home's interior. 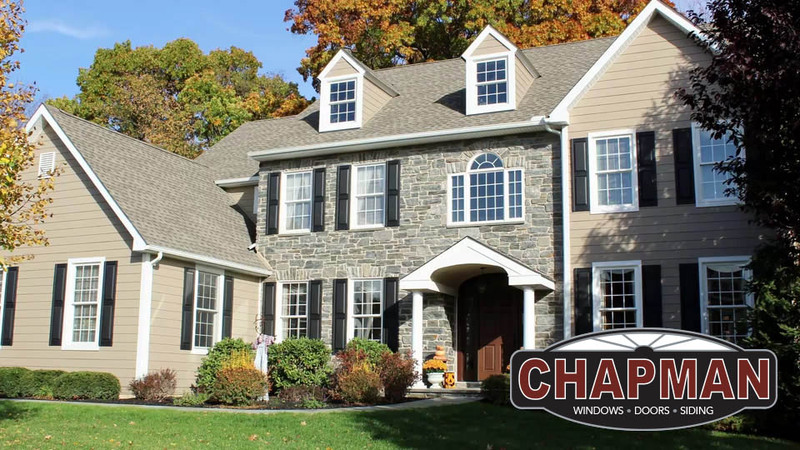 At Chapman Windows Doors & Siding, we are excited to work with a manufacturer that has so much to offer! Simpson doors are built to order. Typically, each door is made with engineered wood stiles and rails, finger-joined to form a solid core. Joints are secured with dowel pins. The door is covered by a veneer, usually 1/16 inch thick (or more, depending on the wood species). This thicker than standard veneer enables you to refinish a door multiple times. 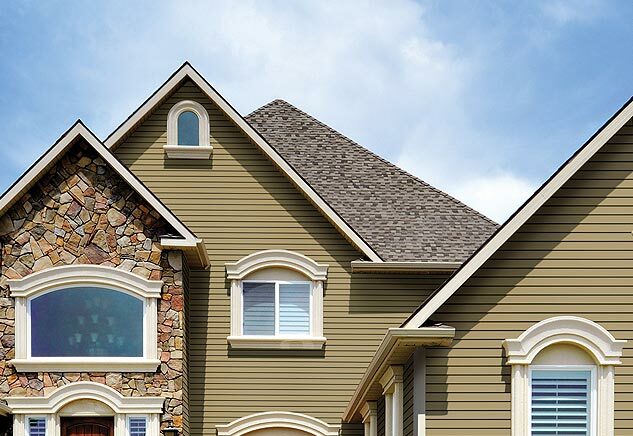 Outer and inner edge bands blend with the surface veneer so no joints show. Simpson believes this is the way to build the strongest, straightest door. Upon request, door rails can be made of a single piece of wood, furnishing the most uniform grain on each side of the door. Also upon request, stiles and rails can be made of two-piece laminated construction which combines the straightness and strength obtained by using two pieces of lumber with solid wood benefits. Simpson's exterior and interior door collections are listed below. Within each door series there are variations in wood and choices of wood finish. Nantucket® is a series of beautiful yet extremely sturdy entry doors crafted with wood species known for extra weather resistance. Mastermark® entry doors use patented Innerbond® technology with a lifetime warranty against splitting. 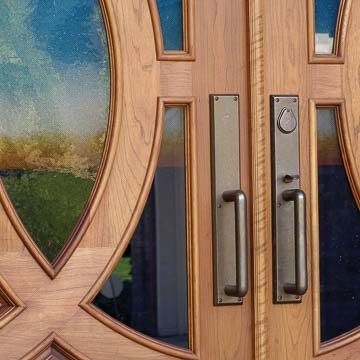 Mastermark doors have leaded glass details. Artist® entry doors are designed by award-winning architects. 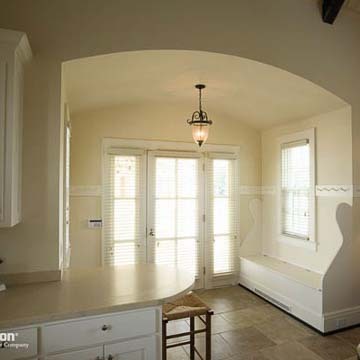 Craftsman represents 36 doors available with complementary sidelites, transoms and dentil shelves. The doors echo the Craftsman style of architecture. 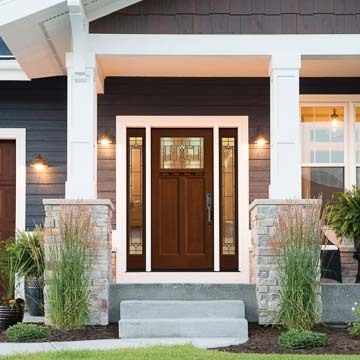 Bungalow® features charming traditional entry doors with beaded groove panels. Builder's Advantage® offers 12 standard door designs with detailing such as leaded glass at an affordable price. Selects contains 15 designs with decorative glass to accentuate your entry with value. Matching transoms and sidelites are available. Traditional is a group of exterior doors with an amazing 85 variations offered. Contemporary includes 57 exterior doors with an updated look, taking advantage of extensive glass inserts to allow more natural light in your entry area. Exterior French and Exterior Sash doors in a variety of styles are also available, including doors with enhanced thermal properties. 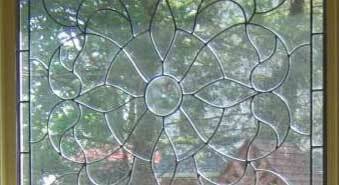 These door styles provide the maximum glass panes per door. Interior doors include 60 standard interior panel and bi-fold doors and finely crafted interior French doors which can be fitted with clear or decorative glass or a resin insert panel. The doors are available in stained wood or you can select from the Redi-Prime® interior French panel and bi-fold doors which come with a factory applied primer ready to paint. Medium-density fiberboard (MDF) interior doors include the Bravo series in stile and rail construction with matching bi-fold and louvered doors available; the Infinity inlaid moulding doors; and the Ovation layered panel doors with matching bi-fold and louvered doors. 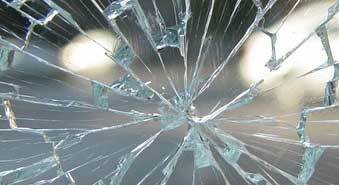 Simpson has 100 standard glass options but you can also choose custom glass work. True divided lite and simulated divided lite styling is offered in doors with insulated glass and in the single-glazed interior doors. Most Simpson entry doors are compatible with Simpson's Performance Series® weather protection upgrades for you to consider if your door will be exposed to harsher conditions. Waterbarrier® Technology utilizes Medium Density Overlay (MDO) and water-resistant glazing on the exterior. Simpson's Ultrablock® Technology adds a water-resistant composite block to the bottom of the door stiles. Ultrablock® Technology is standard on some series and can be added on others. 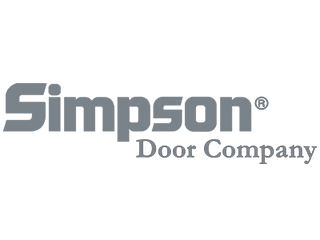 If you select a Simpson door, you will know you are getting a beautiful, well-crafted door from a company that practices environmental stewardship in all it does. 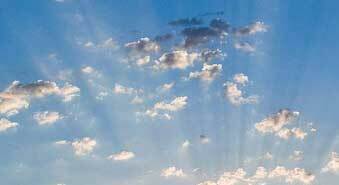 Simpson doors also receive the highest ratings for interior air quality. If these factors plus the great looks of a Simpson entry or interior door interest you, stop by our showroom or make an appointment to learn more!